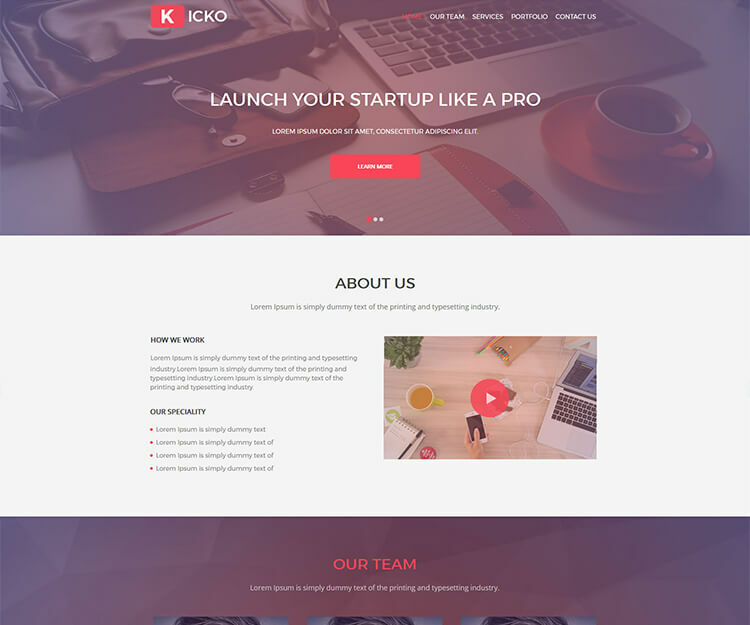 Kicko – Free Agency Web Template is a responsive modern single-page website template for any kinds of digital agency. The template includes many different variations for displaying your portfolio, whether it uses photography, gallery or video. The template can be used to create a corporate website or any other website you find it appropriate for. 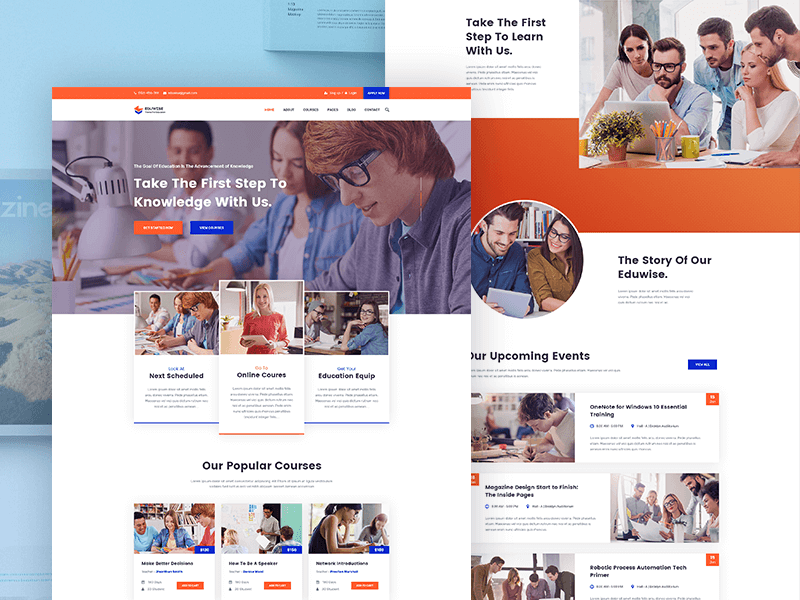 Furthermore, it can match any desired preferences since the template is packed with lots of great customization features which could help you to make your beautiful yet professional website in no time. Who Is This One-page Web Template Useful For? The Free Agency Web Template comes with numerous effective features exclusively essential for creating modern website for agencies, small businesses, start-ups, corporate businesses which require establishing their online appearance with their very own services, products, portfolios as well other business information to help connect with potential customers, clients and followers. The features allow the agencies to organize these contents in a one-page accumulation which can be further customized to meet their additional requirements. However, the customized contents are also supposed to retain the same styling and effects as in the overall Kicko elements. Thus, with your personalized features and functionalities, you can build your agency website and develop it to have the most convincing contents which are comprehensively intuitive, communicative and essentially lucrative for the vast potential online community. So, the website created and developed with Kicko – Free Agency Web Template is much more engaging, leading to a successful business relation between the owner and the customers. Kicko – Free Agency Web Template is abundant with modern, trending features widely used in creating agency website. The selected agency website features are artfully incorporated in Kicko as to ensure the best User Experience for the visitors to the website created with it. The contents are blessed with convenient components that are further structured with relevant info-graphics, buttons, sliders and accordions, banners, images, videos and other UI elements. These elements are often adorned with consistent transition and animation effects so that they are more interactive with the users. With the single-page amalgamation of the contents, the agency website users are left with all the crucial business information and resources in one place so that they can interact and engage with the services flexibly at ease. Responsive Template Layout Designed with Bootstap – Kicko – Free Agency Web Template is built on the latest version of Bootratap, the most popular web design framework, to ensure maximum responsiveness of the website created with it towards various screen sized devices like smartphones, tablets, desktops, laptops etc. The website is also responsive to cross-browsers like Firefox, Internet Explorer, Chrome, Safari, opera etc. and to their different versions as well. In the modern age of web industry, it is crucially important that your website is responsive to, i.e appears uniformed and equivalently in, these devices and browsers to ensure the maximum reachability for the cross-generation community. 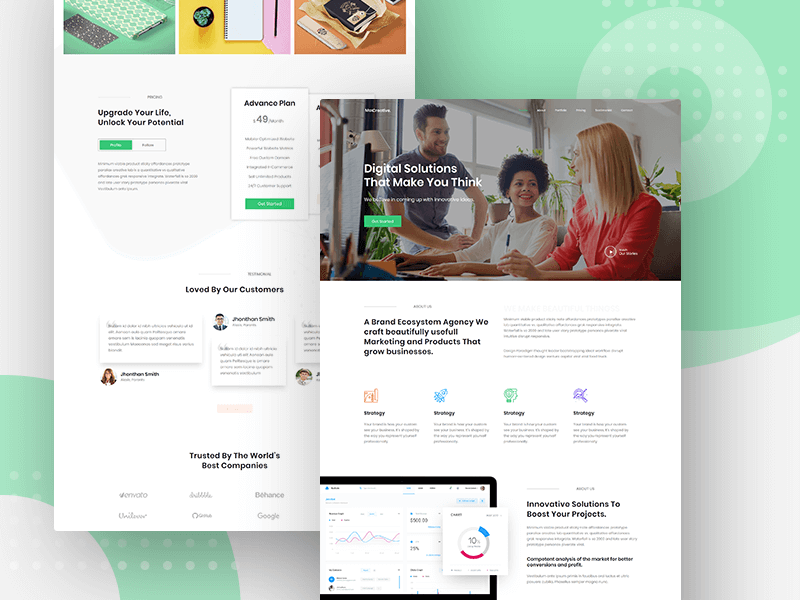 As Kicko – Free Agency Web Template is crafted with this issues in mind, the website created with it is supposed to be more accessible with improved User Experience, resulting in the gradual growth and flourish of your business. 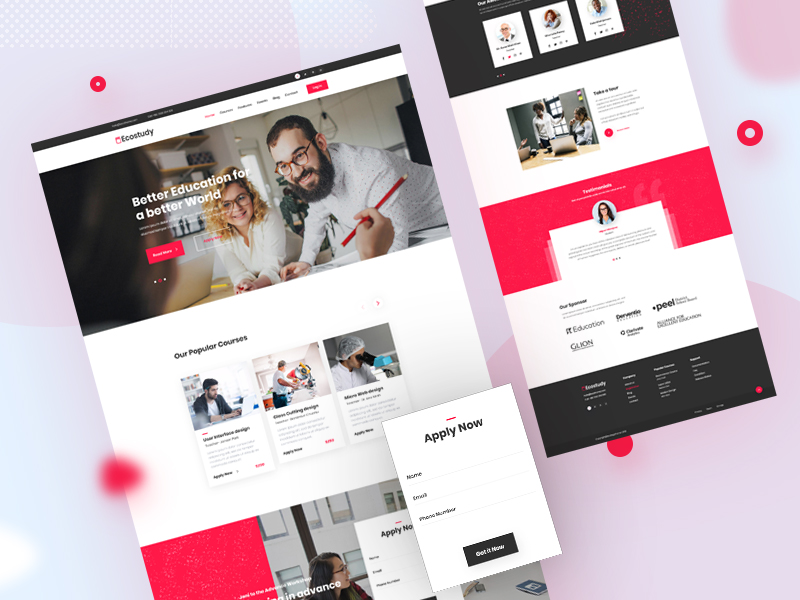 Single Page Agency Web Template – The modern trend of creating one-page website for the convenient web experience is effectively executed in Kicko – Free Agency Web Template. All the essential trending agency website features are incorporated in Kicko that can be customized and updated with your business contents. 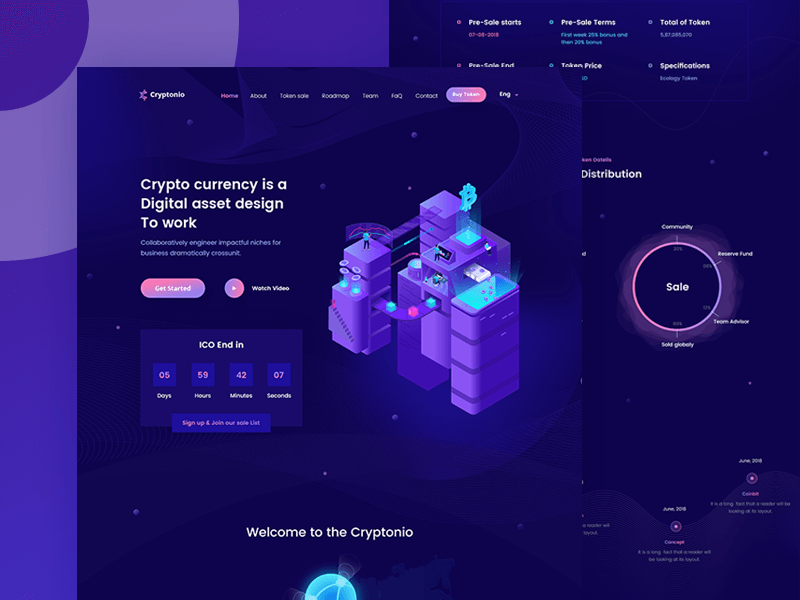 Accumulated in a single page, the contents are meant to be more accessible, leading to a satisfactory User Experience. Thus the agency website built with Kicko is user-friendly in terms of online business experience. 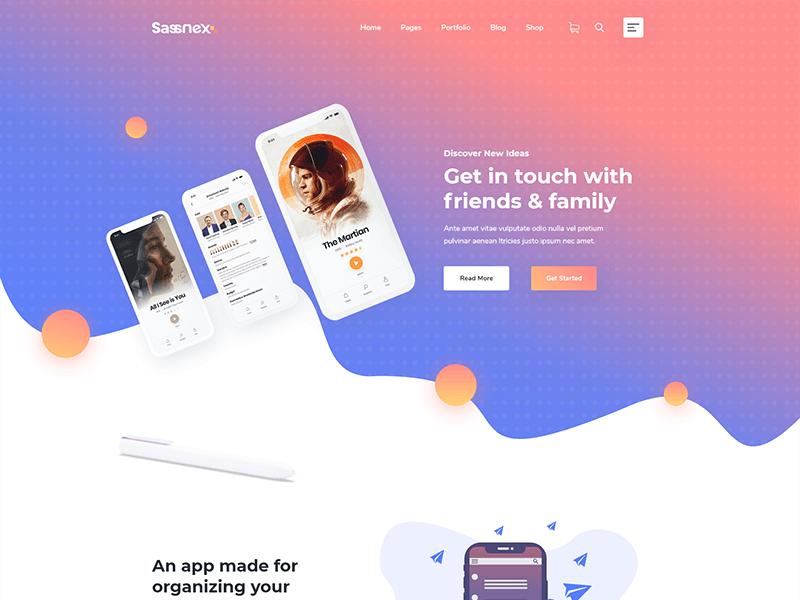 Clean Minimal Agency Web Template – The template is cleanly crafted with all the essential elements set apart to end up with a minimal User Interface as the visual front-end is designed with the modern minimalist trend in mind. 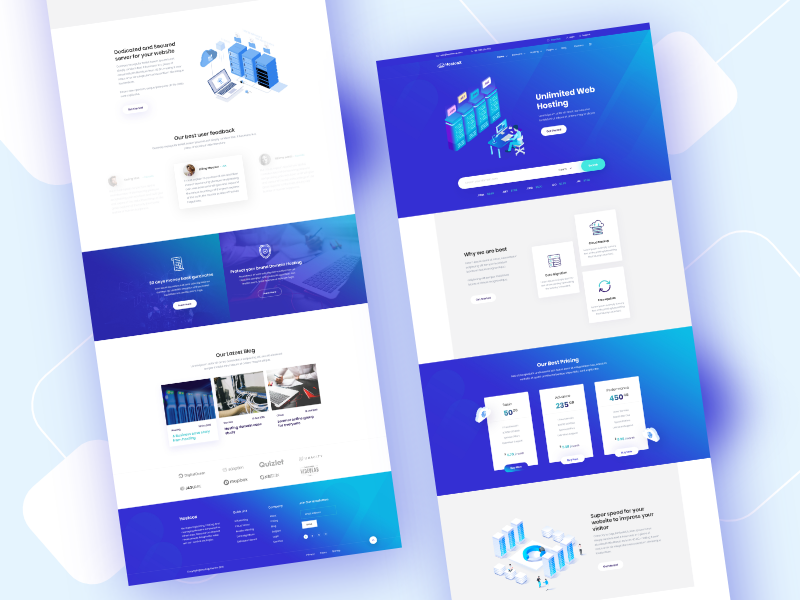 The Kicko – Free Agency Web Template UI elements are arranged and ordered in such a manner that they offer the best User Experience, leading to more accessibility and engagement for the potential customers online. With the thoughtful integration of sleek slider, portfolio gallery, video intro with typographic elements, detailed team member integration, service section icons and text, compelling portfolio gallery, convincing testimonials, connectivity details with contact forms and social network integration, the kicko offers the most intuitive visual front-end. Well Documented W3C Valid Source Files – The Kicko – Free Agency Web Template source files are clean coded with appropriate comments and documentation. So, the developers can find the elements to customize, edit the required portions with less effort and make the changes to suit their business needs. Moreover, the files are tested several times for bugs and validated in the W3C Consortium, the most renowned web files validation service. Hence, the Kicko source files ended up with cleanly coded, well documented, the highest web standard files that are extremely effective for businesses like those of agencies, corporates, multi-nationals or start-ups. Search Engines and Social Networks Friendly – Special care has been taken while coding the different constituting elements of Kicko contents so that they can be easily crawled and indexed by the popular search engines like Google, Yahoo!, Bing etc. The search engine optimized Kicko – Free Agency Web Template contents can be replaced with your own business contents to ensure the maximum reachability. Moreover, all the popular social networks are integrated in Kicko, allowing your business with more connectivity and engagement crucially important for agency or corporate business. Thus, the website built with Kicko – Free Agency Web Template is more likely to be found in popular search engine result pages as well as in those of social networking websites, taking your business success to a new height. And Lot More – Kicko comes with many more enthralling features for agency business website. The free template is perfect for creating your business website as to ensure your online appearance and engage with the thousands of potential customers online. Need more free items like this? Check out more of our premium quality yet free templates for use to build your personal, agency, business, blog or portfolio websites!